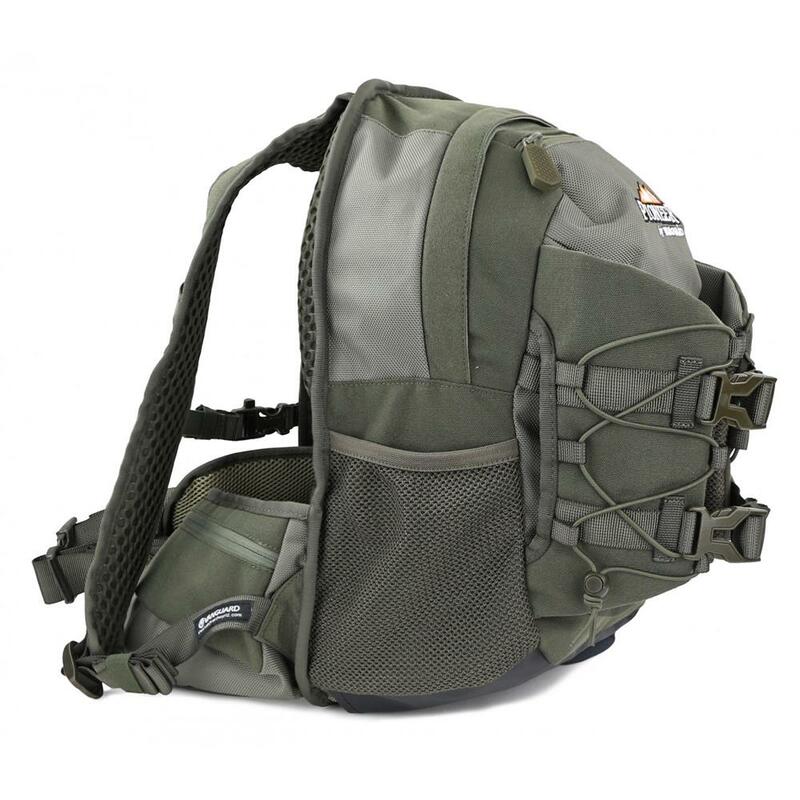 Compact but still full of dedicated features and details this bag will address any eventuality and stealthily support your every adventure, making sure you never miss a shot. The compact yet spacious 16 liter main compartment can be expanded or contracted to hold as much or as little gear and personal items as you need. 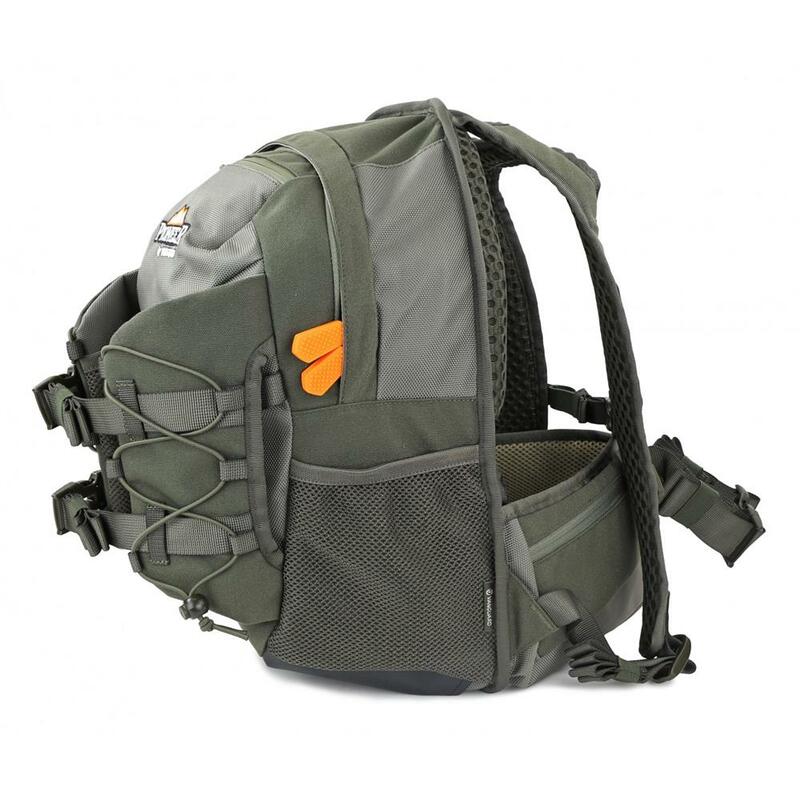 The butterfly attachment system will secure and perfectly balance a tripod, while additional external connectors, clasps and cords will enable extra attachment points for connecting any other gear you may need, such as a jacket. A multitude of strategically integrated internal and external pockets offer dedicated storage and organizational solutions. Safely stow personal essentials such as your wallet and licenses in a water tight top pocket; make sure to always stay hydrated by utilizing the internal water bladder pocket and extracting the drinking tube to conveniently connect to either left or right shoulder strap; and deploy quick hip draw when using waist belt pockets and detachable pouches to store a rangefinder, binoculars, phone or anything else you need on hand. 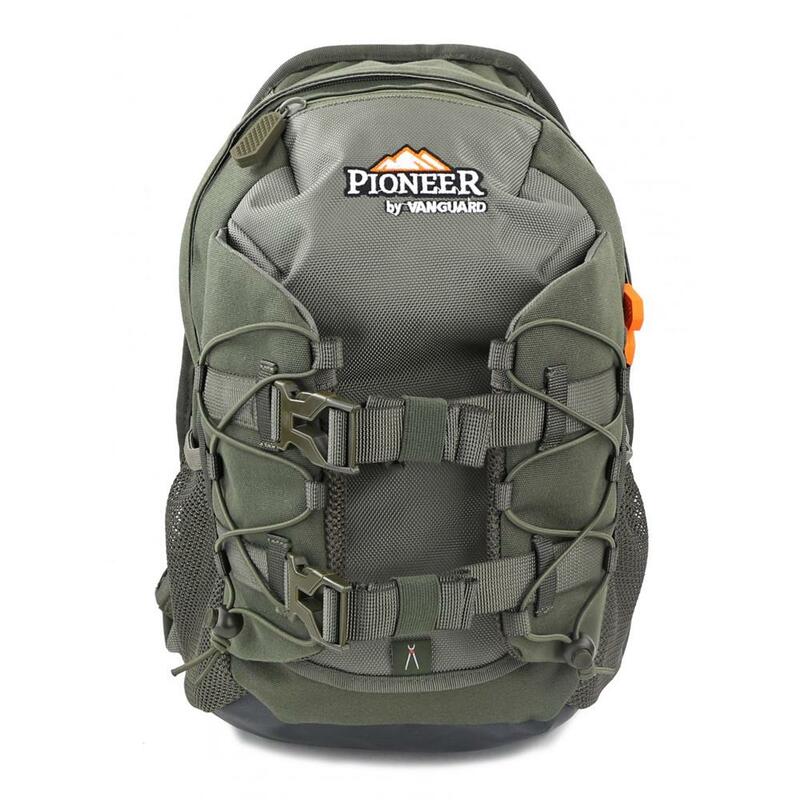 The sleek design of the PIONEER 975 offers ultimate mobility in extreme outdoor conditions, while the advanced ergonomic back and harness promises optimal ventilation, portability, stability, comfort and weight distribution. 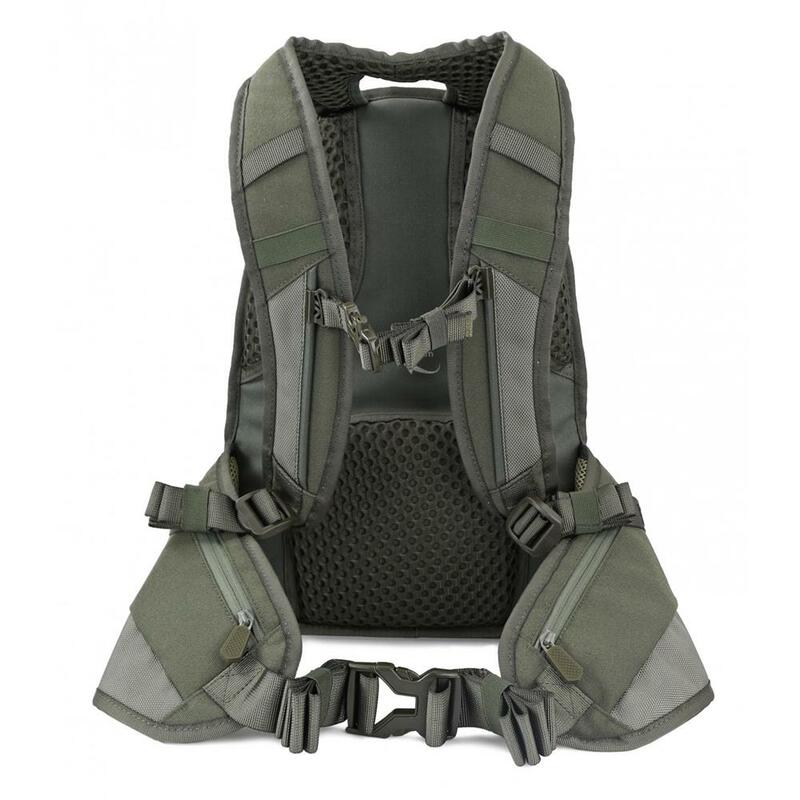 Features include: Air System back, well-padded harness straps, sturdy waist belt with built in zip pockets, and fully adjustable sternum strap with built-in 'better safe than sorry' emergency whistle. Other features include XXL silicone zipper pullers - orange color coded for main opening; water resistant, easy to clean, anti-scratch and durable material on the bottom; and our total coverage rain cover, which comes in orange to enhance personal safety.